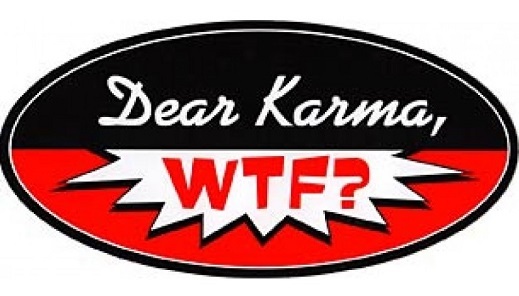 Sometimes, you think "Dear Karma, WTF?". and this bumper sticker says it for you. It measures approximately 3" x 7" and will stick anywhere.